I never walked by Yonge and Church Ave. before to notice this restaurant. 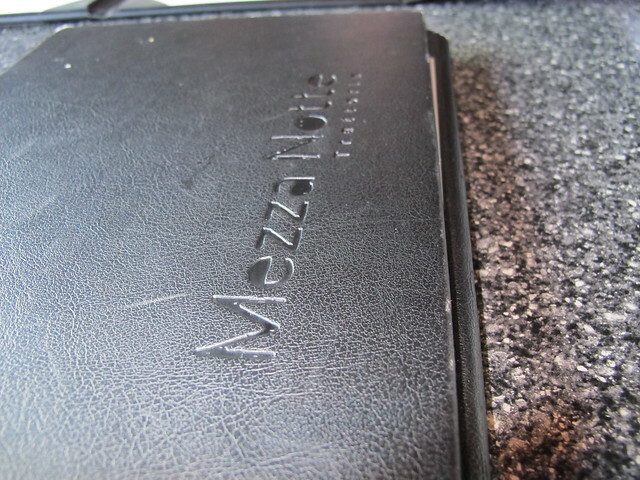 Kind of hidden by the cars parking lot, Mezza Notte has an unusual patio. Nevertheless, I was excited to try dinner here. We had a waiter, M, who was very awkward with us throughout our evening. He was nice and polite, don’t get me wrong…for example, he was standing behind me (I was sitting at a table, back towards him) just listening to me ramble on to a friend, O. Obviously I could feel that someone was watching me… I guess there are other ways to approach and interrupt a table…nicely and unawkward-ly. A few moments after we had gave the waiter our menus, a delicious bread basket was served to our table. 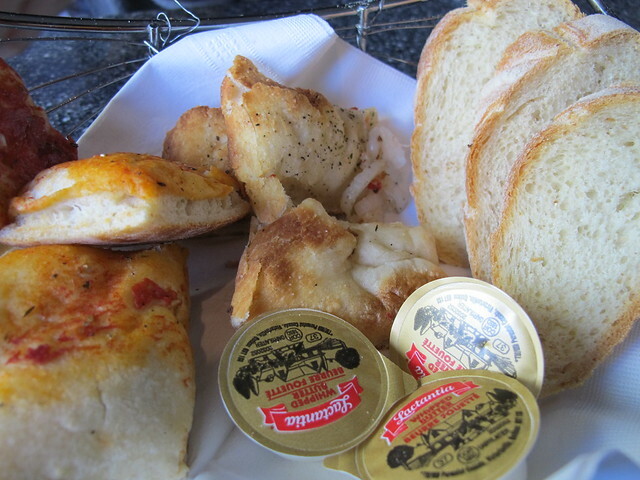 In it was three kinds of breads; pizza squares, onion bread and plain slices of baguette with butter (left to right). I favoured the pizza squares and onion bread the most (mainly because they were salty). 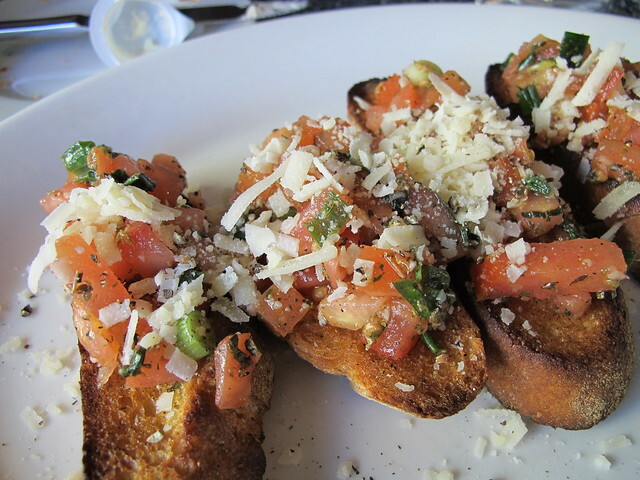 We decided to share an appetizer; bruschetta ($8). I’m so happy that we ordered this. The toast was (real) garlic bread and the tomatoes were seasoned well. When and if I go back, I’ll be ordering this again! 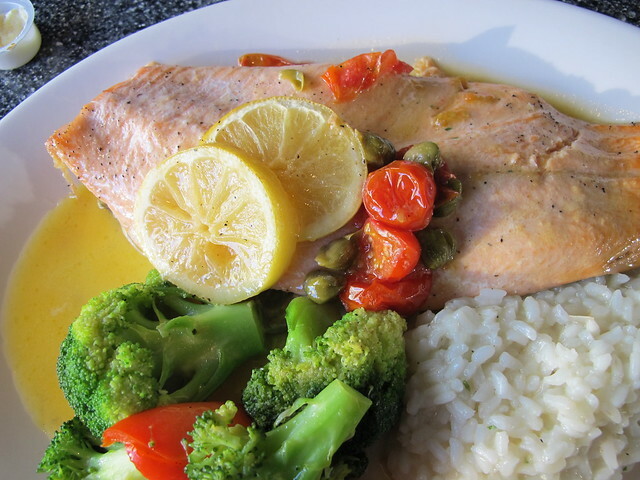 I went with one of the daily specials; rainbow trout (filet) with risotto and vegetables in a lemon and white wine sauce ($19). For nineteen Canadian bucks! The fish filet was longer than a regular size fork (measuring lengthwise) and holy moly…I definitely got a bang for my buck!! The risotto was plain (which I didn’t mind for the amount that I paid for the dish), there was plenty of vegetables and fish that I almost couldn’t finish (insert thumbs up emoji here). 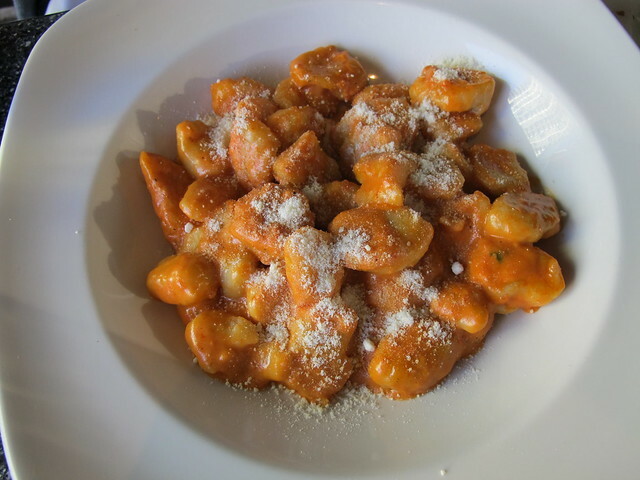 O settled with gnocchi in a rose sauce. I’ve watched Michael Smith, Jamie Oliver and many celebrity chefs making them on T.V. but never attempted to try making it. I really liked the chewy-ness of these flour dumplings. I’m currently looking for an first timer-easy recipe…if you have any recommendations, I’d love to check them out! Click here to go to the restaurant’s website.